Now that NaNoWriMo is over, I’m finding time to read again. I’m also taking notice of upcoming movies. As a huge fan of both Lord of the Rings and BBC Sherlock, I am eagerly awaiting The Hobbit. I’m sure that those who also enjoy both are aware that Martin Freeman, who plays Watson on Sherlock, is playing Bilbo Baggins in The Hobbit. However, are you aware that Benedict Cumberbatch, Sherlock, is playing the voice of Smaug in The Hobbit? Gotta love that. Other movies I’m looking forward to include Anna Karenina, Les Miserables and The Great Gatsby. I know, The Great Gatsby doesn’t come out until May 2013, but I can hardly wait to see what director Baz Luhrmann makes of the Jazz Age. It’s certain to be over-the-top and batshit crazy, in a good way. I’m also looking forward to my yearly reading and watching of A Christmas Carol by Charles Dickens. My favorite movie version is the one starring George C. Scott. He makes a magnificent Scrooge. He’s mean and selfish, and yet as you learn his story, your heart goes out to him. I can’t recommend it enough. While The Hobbit and the Lord of the Rings trilogy are not yet in the public domain, the other books are. Oddly enough, The Great Gatsby is not freely available on Amazon. However, I found the free, public domain version on eBooks for All. 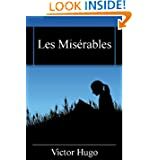 Les Miserables and Anna Karenina are available as free classics for the Kindle. 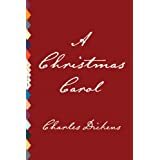 The version of A Christmas Carol that I’ve listed below is illustrated and free-for-now, meaning if you don’t get it now, it will cost later. Sorry if that confuses anyone. The lesson is, anything I list for free should be grabbed the day I list it. There are never any guarantees that anything will remain free. So go get ’em! This edition of Dickens’s immortal classic, A CHRISTMAS CAROL, features the original illustrations by John Leech, as well as another 20 woodcut engravings by Sol Eytinge Jr. from the 1869 American edition by Ticknor & Fields. Beautifully designed and carefully proofed for digital publication, this Top Five Classic edition includes a short introduction and bio. Ebenezer Scrooge, a miserly old curmudgeon who spurns Christmas as a “humbug,” is given the chance to redeem himself through the intervention of four Spirits on Christmas Eve. If reading Dickens’s most beloved story doesn’t put you in the true spirit of Christmas, you may be beyond redemption. Some people say Anna Karenina is the single greatest novel ever written, which makes about as much sense to me as trying to determine the world’s greatest color. 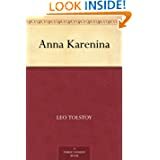 But there is no doubt that Anna Karenina, generally considered Tolstoy’s best book, is definitely one ripping great read. Anna, miserable in her loveless marriage, does the barely thinkable and succumbs to her desires for the dashing Vronsky. I don’t want to give away the ending, but I will say that 19th-century Russia doesn’t take well to that sort of thing. The novel takes place following the First World War. American society enjoyed prosperity during the “roaring” 1920s as the economy soared. At the same time, Prohibition, the ban on the sale and manufacture of alcohol as mandated by the Eighteenth Amendment, made millionaires out of bootleggers. After its republishing in 1945 and 1953, it quickly found a wide readership and is today widely regarded as a paragon of the Great American Novel, and a literary classic. The Great Gatsby has become a standard text in high school and university courses on American literature in countries around the world and is ranked second in the Modern Library’s lists of the 100 Best Novels of the 20th Century. I found these books via Amazon’s Kindle eBooks store and eBooks for All. Resources for free Kindle and other format eBooks are listed in my sidebar. This entry was posted in Free eBooks, Kindle Bargains and Freebies and tagged A Christmas Carol, Anna Karenina, Books, Fiction, Free, Kindle, Les Miserables, literature, Movies, The Great Gatsby by Lori Saltis. Bookmark the permalink.